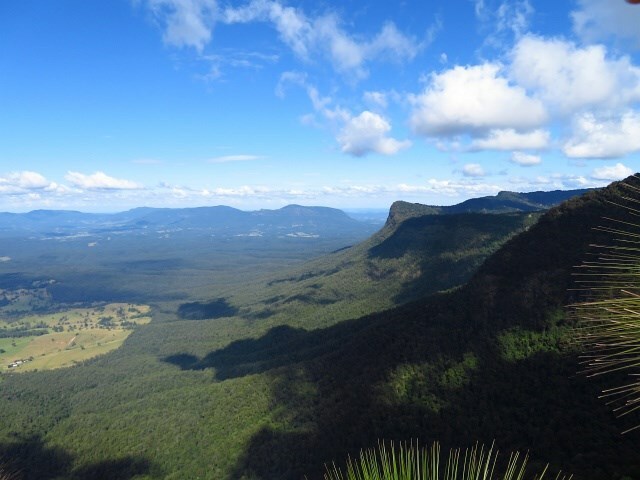 Without a doubt, the journey along the Pinnacle walk to Pinnacle lookout is one of the highlights of the whole park and not to be missed. 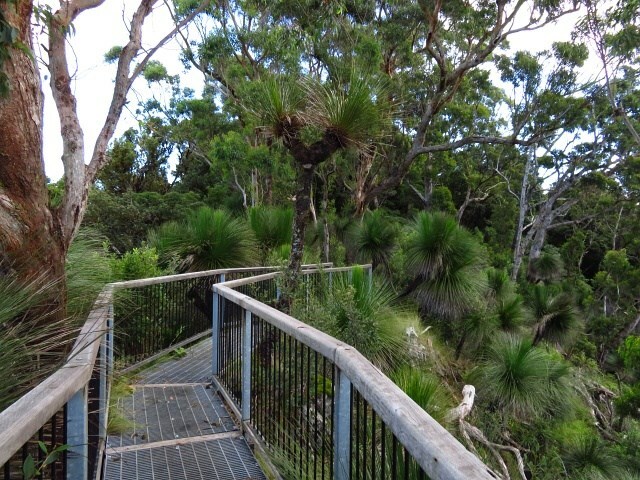 It’s a short walk through World Heritage-listed rainforest before the track reaches Pinnacle lookout. 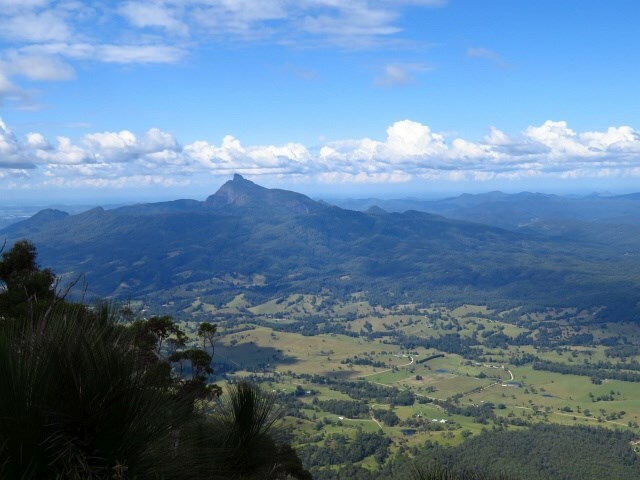 You’re bound to be mesmerised by uninterrupted views of the whole park along with spectacular 360° views all the way to the coastline, the crater escarpment and to Wollumbin-Mount Warning. 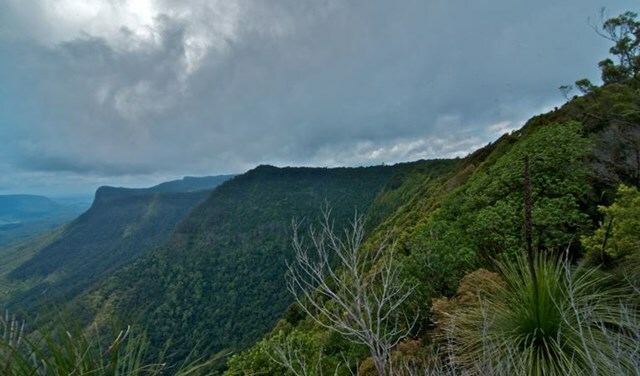 If you’re an early riser, and even if you aren’t, it’s definitely worth making the effort to see the silhouette of Wollumbin when the sun rises – it’s a completely inspiring way to start your day in Border Ranges National Park. 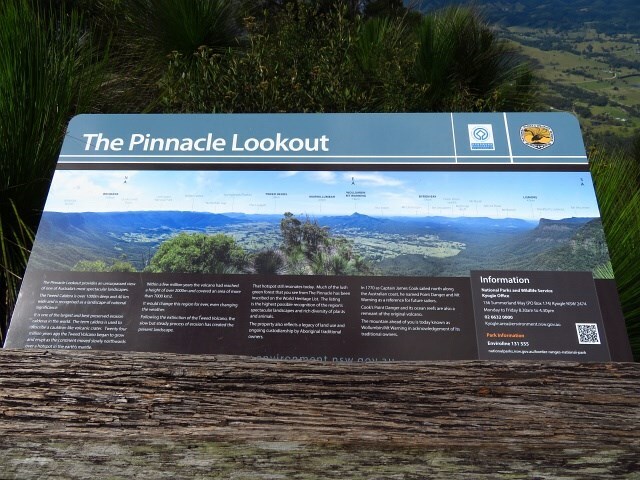 Pinnacle walk is accessed via the Tweed Range Scenic drive. Via well-maintained gravel road; however, following heavy rains between December to May, the surface can be rough or slippery in parts. Suitable for 2WDs. Parking is available at the start of Pinnacle walk. $8 per vehicle per day. The park has coin-operated pay and display machines - please bring correct coins. 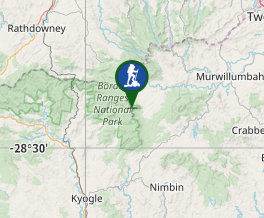 We set off for this walk in the car from the Forest Tops Camping Area with a nice clear sky, did tow short walks along the way and had breakfast. Before we knew it, the clouds were rolling in, and we finished the drive in the cloud, needless to say, we didn't get much of a view. 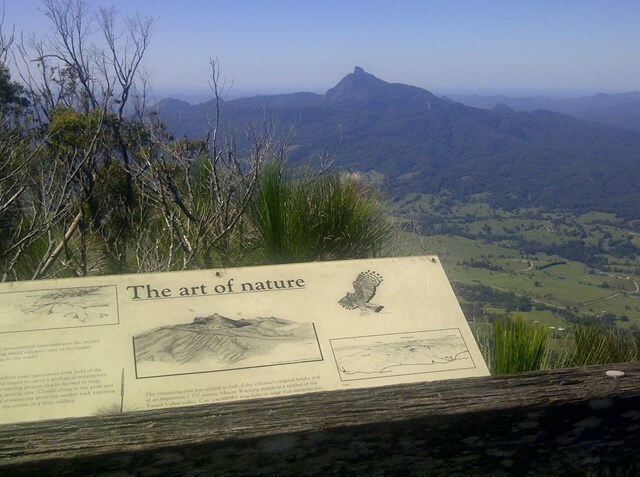 However, from the sign on the lookout it seems that this would be a fantastic view on a clear day. Hopefully we'll come by this way again some time. 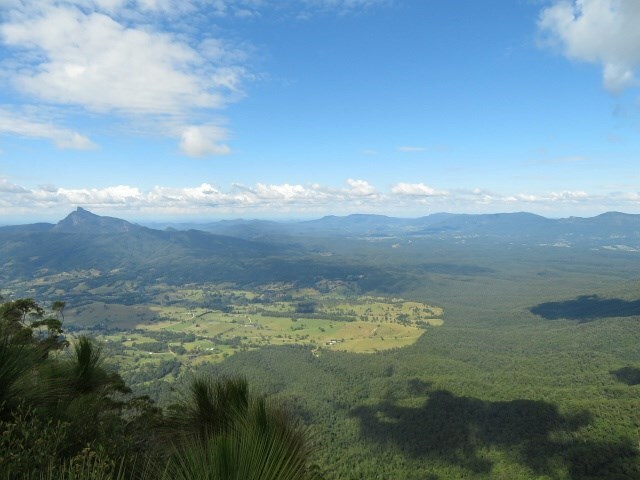 I tried to reach it from The Pinnacle Rd first, but that was tough without preparation. On another occasion I drove there. I real treat.